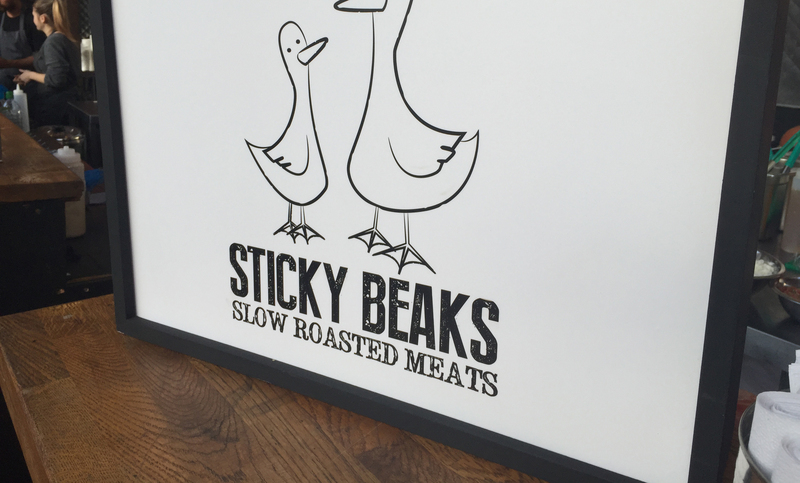 Sticky Beaks specialise in hand shredded, slow-roasted, mouth-watering meats. 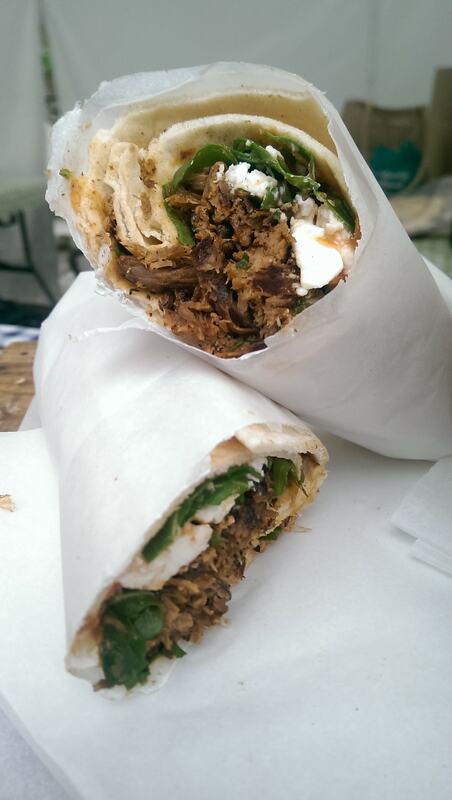 They use ingredients and flavours inspired by cuisines from around the world to help make their unique and totally delicious sandwiches, wraps and salads. 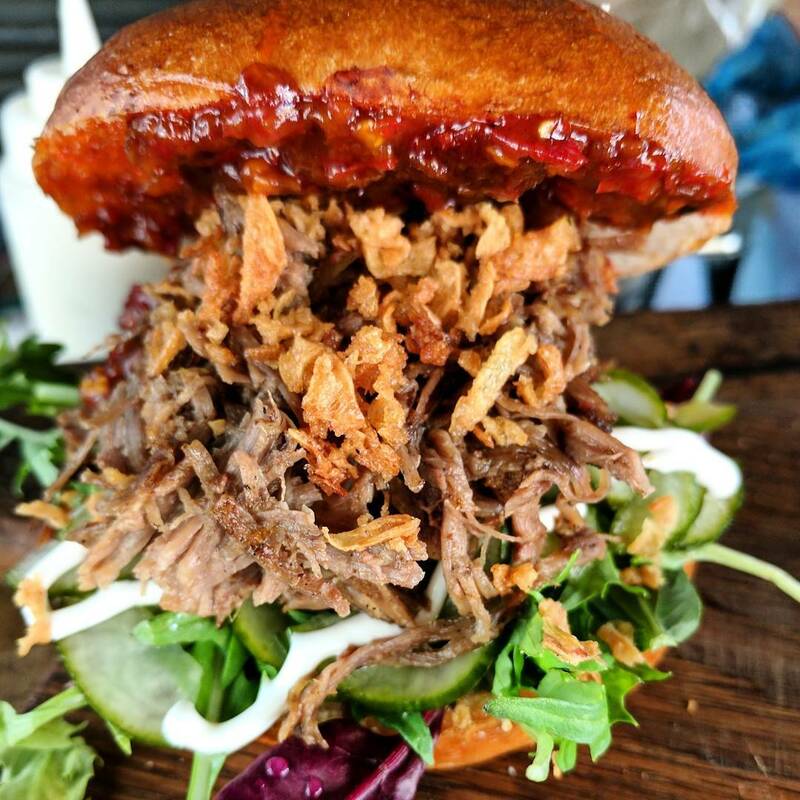 All the meat they serve is free-range, sourced from British animals while all the sauces are Sticky Beaks’ own recipes, handmade by the incredible Bex. Very few chefs in the country put quite as much time into their cooking as these guys, whose meat is often cooking for up to 10 hours at a time to make sure it couldn’t be jam-packed with any more flavour. 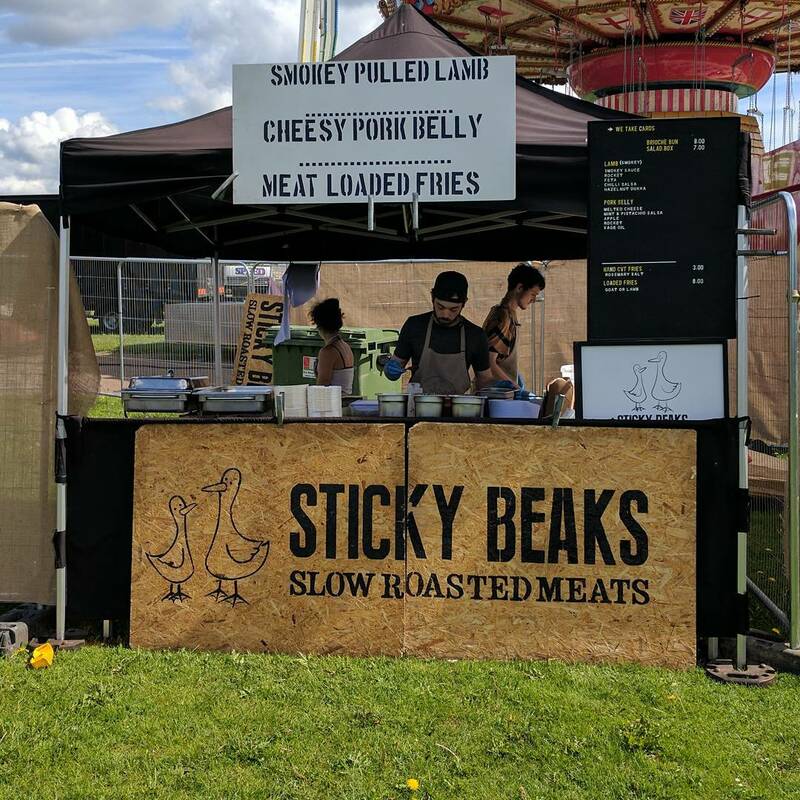 It’s no surprise to hear that Sticky Beaks can often be found catering to the stars at Pinewood Studios and further, they’ve been ranked at number 3 in Buzzfeed’s London Cheap Eats list. You can book them and their amazing gazebo to turn up at your event (from weddings, birthdays or corporate do's) right here. The pulled lamb for me!